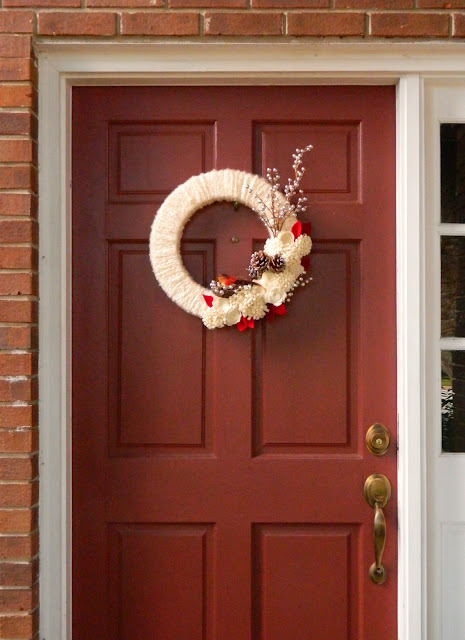 This wreath is simple and inexpensive ($20!) to make, yet it really has a great impact. We bought all the supplies from Michaels, and completed it in about 3 hrs. 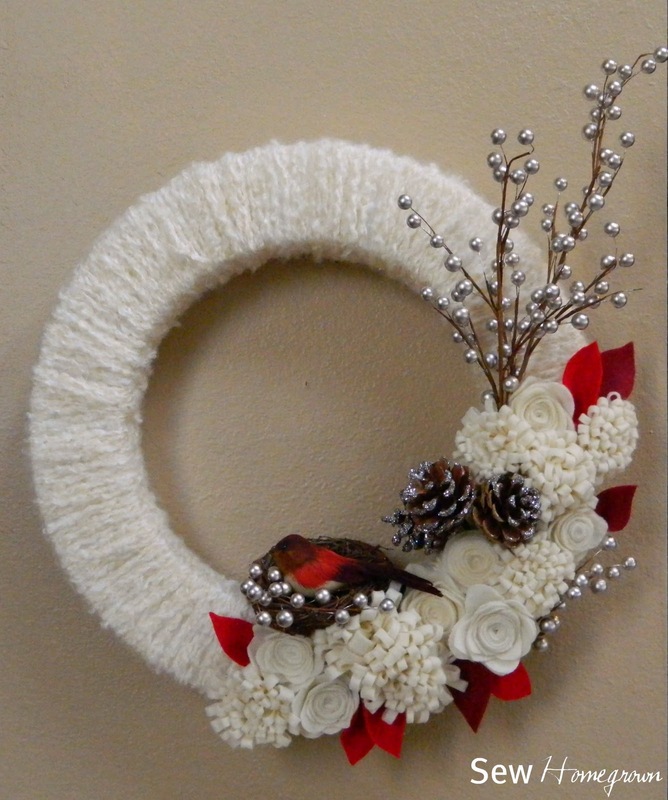 I made all the felt flowers, and mom wrapped the wreath. 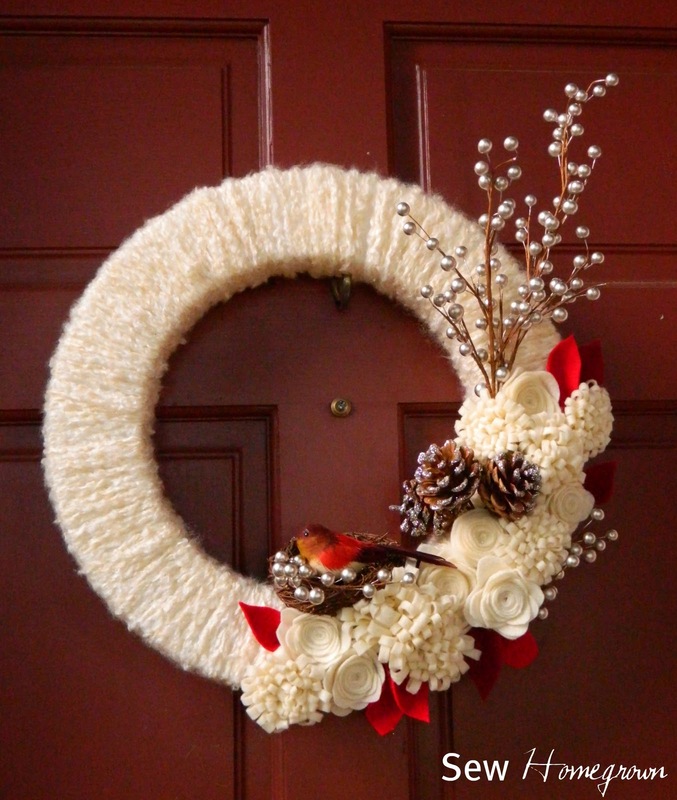 I think the secret is to have lots of felt flowers, even though they take a while to complete. 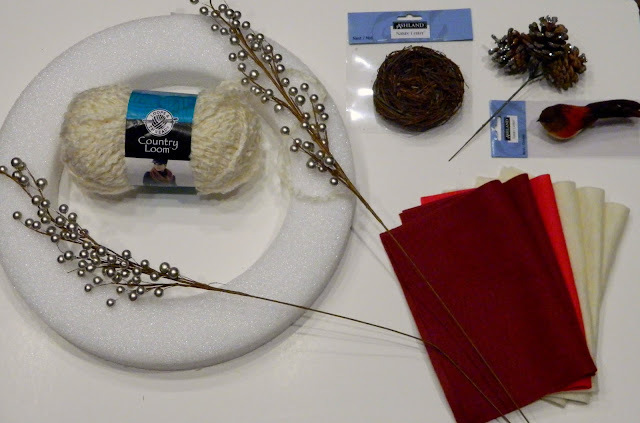 Hope you like it and feel inspired to get started on your holiday wreath!